President Donald Trump has already threatened to cut subsidies given to General Motors in retaliation for job losses announced earlier this week. His comments were met with mockery and skepticism by most of the media, as experts cast doubt on the President’s actual ability to walk back federal aid given to the company via executive fiat. “We are now looking at cutting all GM subsidies, including for electric cars,” Trump tweeted last week, with presidential aides telling Bloomberg the idea was still being explored. Discussions are already happening at the state level in the wake of the restructuring announced earlier this week by the automaker. 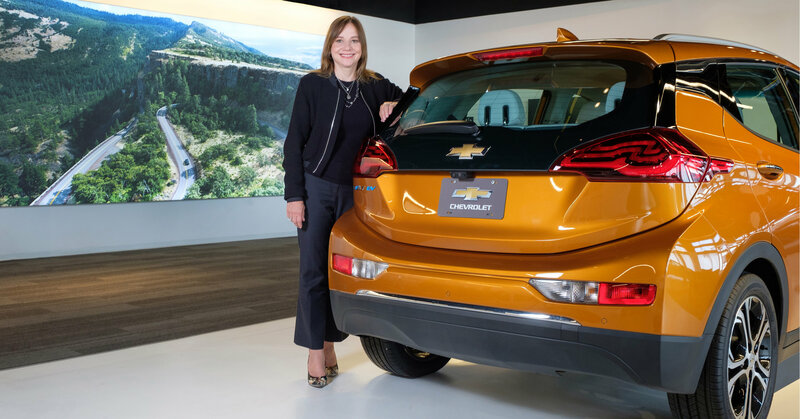 Recently, the Trump Administration announced a plan to phase out a $7,500 federal tax credit extended to shoppers as an incentive to purchase electric vehicles like the 2018 Chevrolet Bolt EV. But the credit won’t fade away until 2021, and GM is close to the 200,000 unit cap that’s allowed by the credit. If anything, it will prohibit other automakers like Ford from enjoying the incentive that makes it financially easier for consumers to switch from gas to electric. So at the end of the day, the elimination of these credits are met with a collective shrug from GM. A company that believes in an all electric future. There are other ways the government could hit back at GM. Beyond subsidies offered to EV shoppers, the automaker has received about $333.5 million in federal spending this year alone, 93 percent of which can be traced back to federal vehicle purchases for use by government agencies. The company has also frequently benefitted from major research and defense contracts, like the two Department of Energy grants of more than $100 million related to electric vehicles and batteries which were awarded during the Obama Administration. Losing this taxpayer-funded business would be a significant blow to the automaker. Well which one? There’s about 3.5 billions men on earth. You gotta whittle it down to one. It’s Miath! By “This man” he means himself. Eliminating jobs en masse affects people and rubs brand loyalty. Eliminating subsidies affects very little when there’s a plethora of products to choose from. GM is shortsighted profit driven. Because if GM ain’t profit driven then they are a charity. Like churches and mosques. Like OxFam and the Red Cross. But, y’know, GM is a corporation and if they don’t make profits they’re useless to everyone. It’s freakn funny watching small-government types continuously make out that corporations should act like the government and use their own profits to pay for the government services that these idiots don’t want provided by government. What’s yer theory? That not paying tax is better than paying huge over-profits to corporations so they can act like your government instead? Without you having any vote on them at all? Let’s make it easy for y’all! Corporations – supposed to make profit and pay tax. Government – supposed to collect tax and use it to fix problems that will never make a profit, like caring for the dying and forcing polluters to clean up. If Federal, State, and Local governments stopped buying GM Vehicles, Suburban and Tahoe sales would severely suffer. Ford makes that new Expedition which is better anyway. Folks who hate BIG government, whaddya got to say now? Which answer do you want? Which one, trumpets, which one? BTW, supposed automotive journalists keep talking about such and such automaker losing it’s EV credits, but the fact is they just slowly lower to zero. GM may lose the highest level, $7500, but then they still get half that for 6 months, then another decrease by half for another 6 months.